I follow the Minnesota Timberwolves who play in the NBA. Due to the time difference, I don't get to see many games live but watching the highlights is something to do on my lunch break. 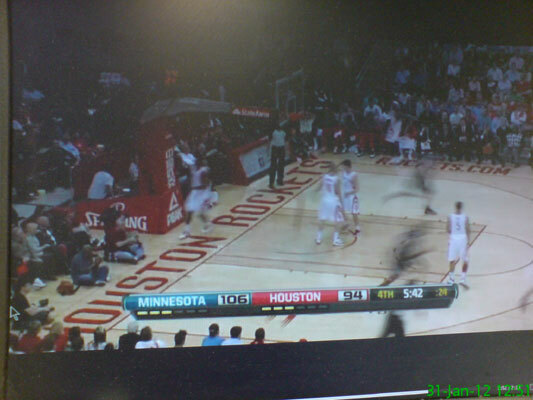 Today I was pleased to see a recap of a 120-108 win over the Houston Rockets. 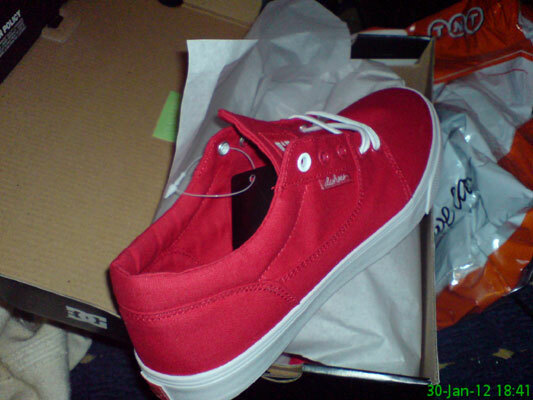 Some new trainers, which I couldn't resist because they were half price. I thought a trip to the TNT depot was going to be on the cards but the driver was nice enough to try again later in the day before heading back. As usual, Stowell Street is packed. 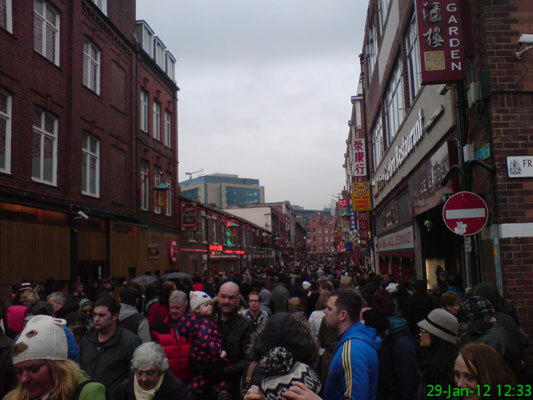 There were surprisingly few Chinese people though! 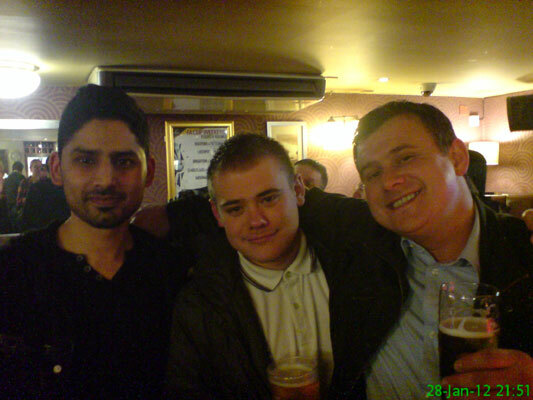 I'm not trying to imply that Mak, Michael and Christopher are bulls but we were in fact in The Three Bulls Heads pub. Admittedly I've not tried these, but the idea seems a bit.. odd. 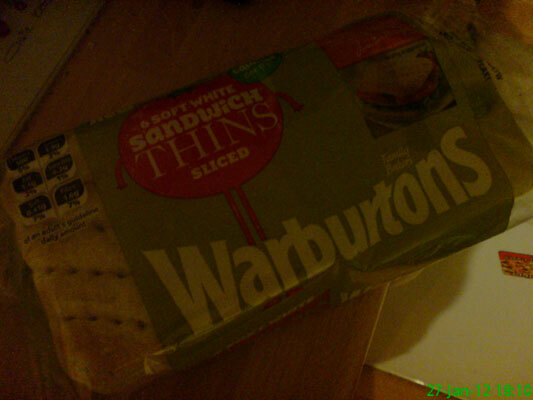 Call me old fashioned, but normal bread works for me in a sandwich. 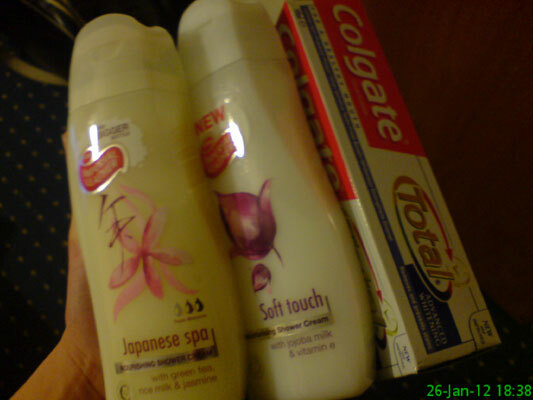 Various hygiene type items purchased today. 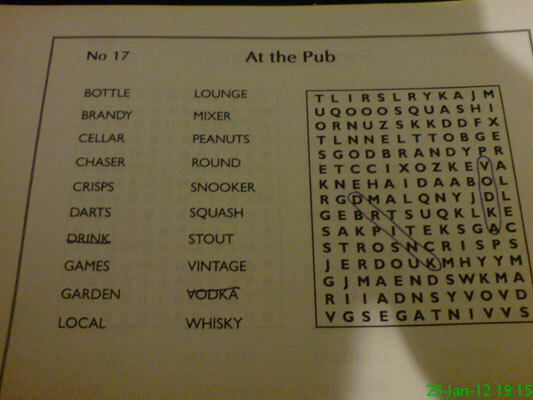 Something from my wordsearch book, based on one of my favourite hobbies. 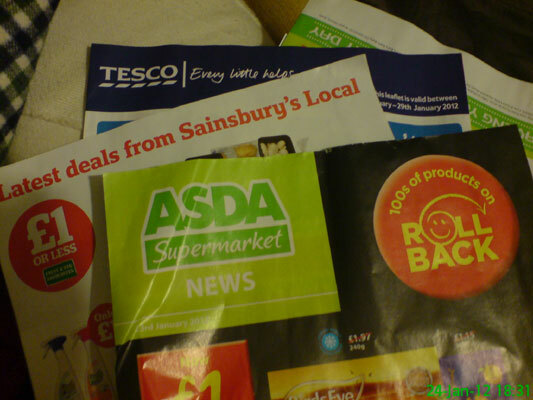 The latest batch of leaflets shoved through my door and it seems to be the battle of the supermarkets. A note to Tesco: I will be more likely to abandon you in favour of one of the others if you continue to gradually stop selling the things I like to eat! 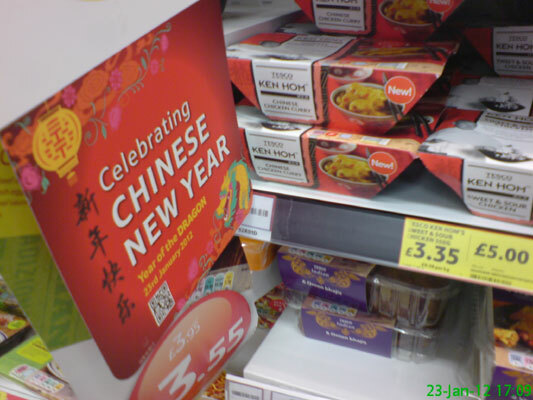 Tesco clearly want everyone to celebrate the year of the dragon. 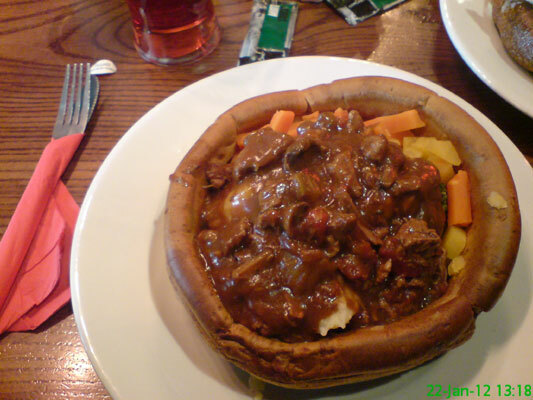 I never need much persuading to have one of Fluid's Giant Yorkshire Puddings. A very brief (due to the temperature) foray outside at Brough Park with Michael, James and Nicole. And a random blurry man who happened to be walking past. 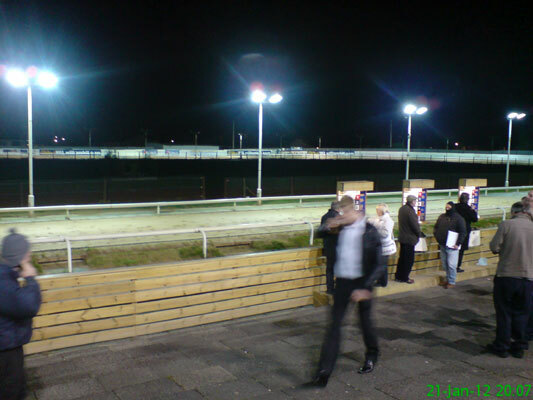 I didn't do too well in terms of betting and only managed a £2.80 win from 12 races. 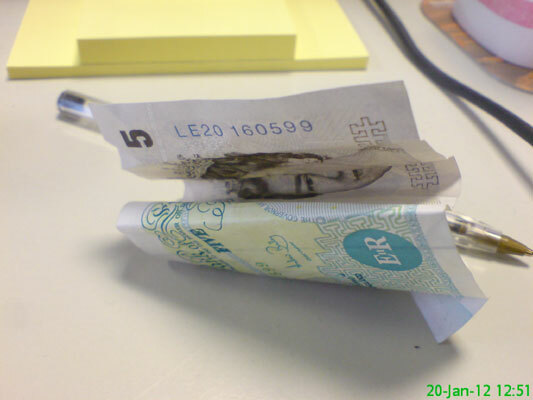 It's that time of the month where I have to pay into my work lottery syndicate. We've never had great success, but I don't dare leave as I'm sure that would mean a huge win the following week. 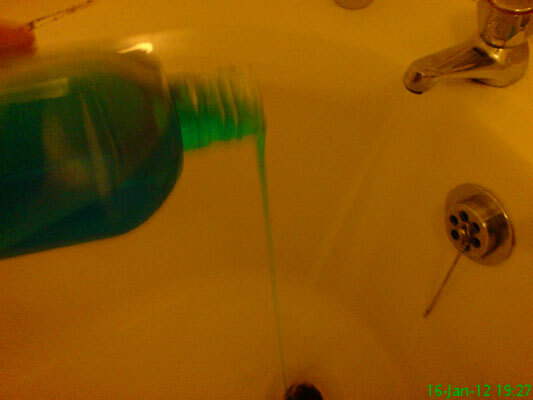 Juice never seems to mix very well when I put the water in first. 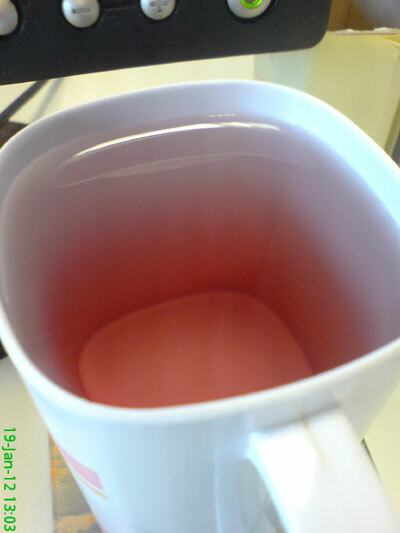 The only thing it's good for is pretending I have one of those fancy layered cocktails, when instead I'm just drinking apple and blackcurrant juice. 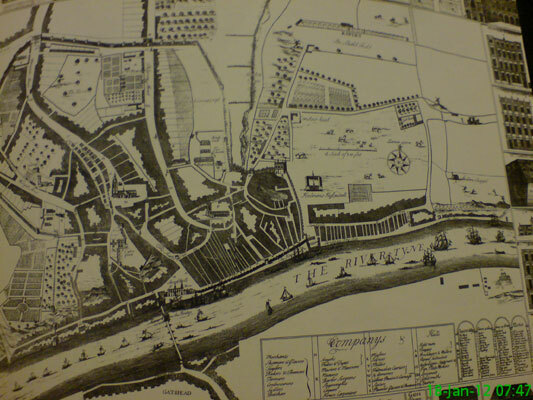 From the book I'm reading on the history of Newcastle - a map from 1723 by James Corbridge. Finally, the moment Newcastle fans have been waiting for all day: the Sky Sports News ticker confirms Papiss Cisse has signed for the club. I usually prefer showers, but sometimes when it's freezing cold and I'm tired after work and the gym it's nice to relax in the bath for a bit. 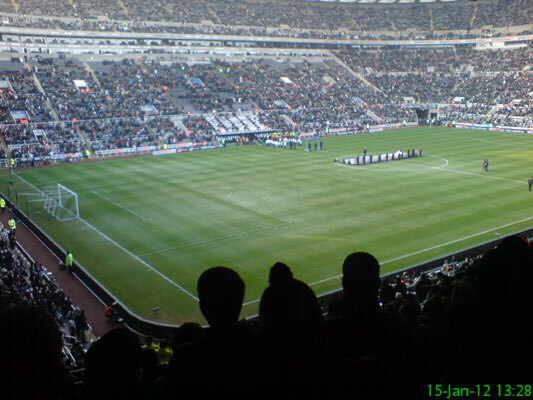 A slightly frozen pitch wasn't enough to stop Newcastle beating QPR 1-0 with a goal from Leon Best. 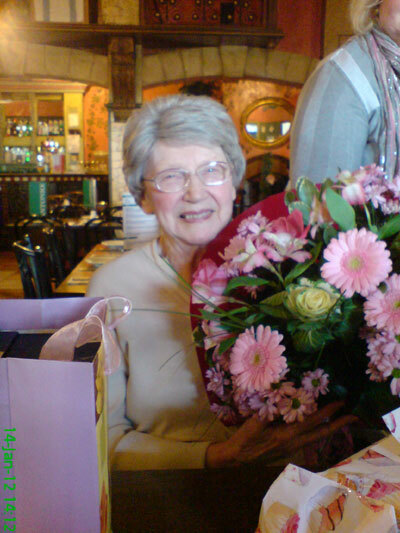 My Gran on her 89th birthday. What a legend!! My 4 and a half year phone, for some unknown reason, isn't charging too well at the moment. 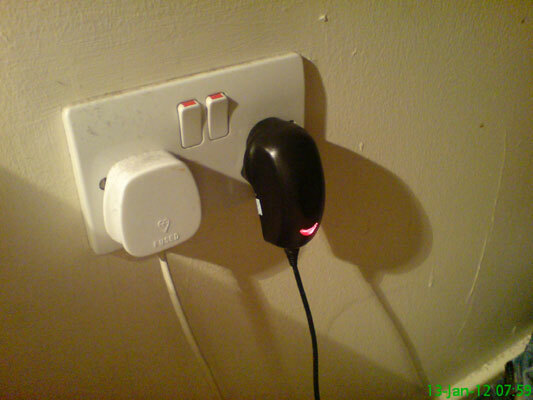 Usually after being plugged in overnight this light should be green but unfortunately it wasn't so I gave it a few extra minutes charging before getting ready for work. And no, I don't dust the tops of my electrical sockets - sorry! The veins in my hand are just about ready to burst after a tough 45 minutes on the treadmill. 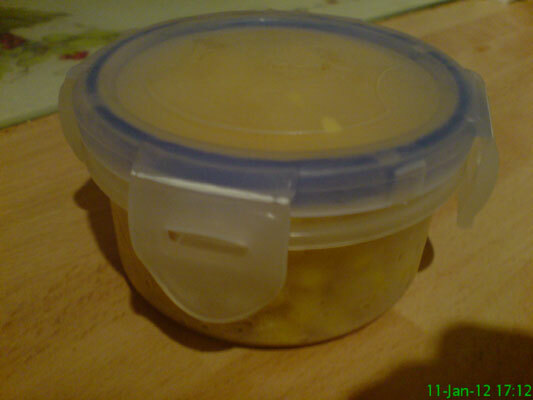 This little tub was the perfect size to hold the leftover sweetcorn. I will be having the rest of it for tea tonight along with breadcrumbed chicken fillet, new potatoes, carrot, broccoli and fiery chilli tomato ketchup. Exciting, no? 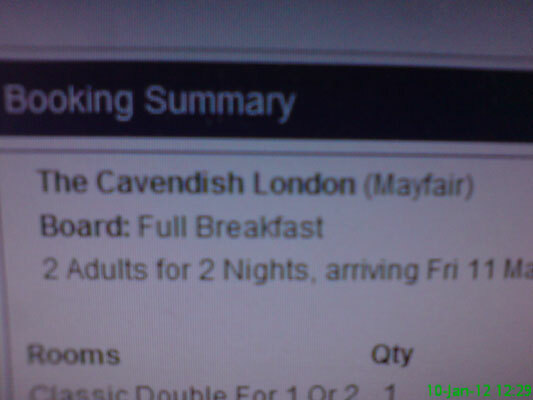 Something to look forward to: a trip to London in May, staying at a nice hotel. 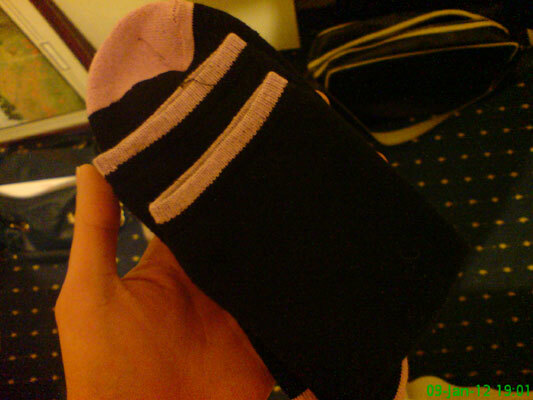 Another Christmas present: thermal socks to keep me warm. One pair already proved very useful at the match the other day. 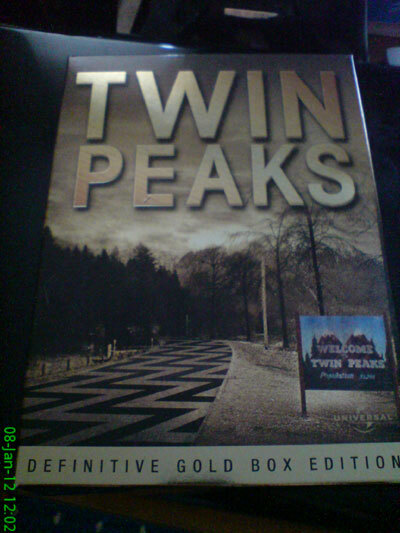 I've become quite addicted to this lately. 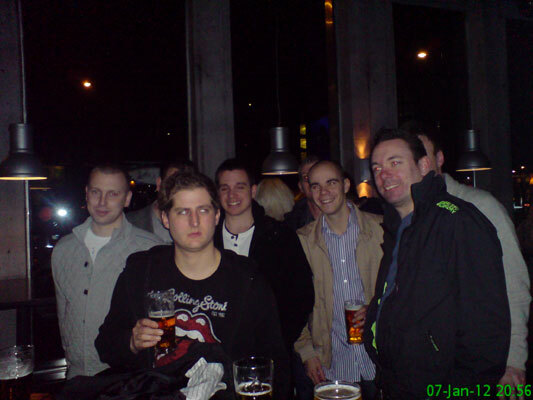 Stu with the lads at Shark Club on his birthday. 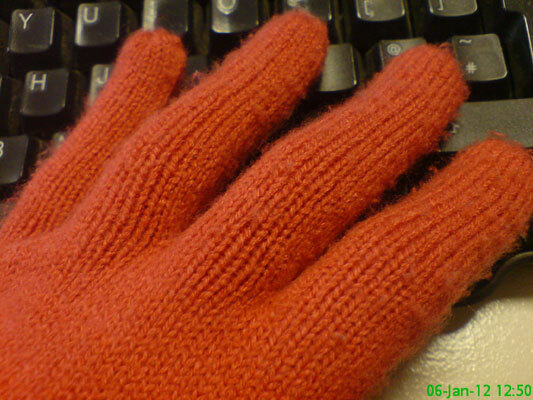 My hands were freezing cold at work so I put my new gloves on for a bit over lunchtime. Not only are they nice and warm but they also remind me of Dr Zoidberg from Futurama (look him up if you don't believe me!) which can only be a good thing. 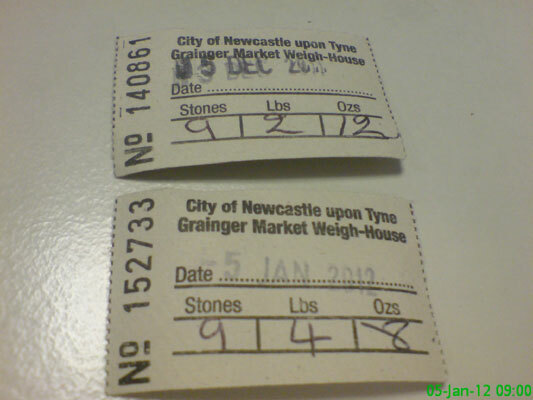 The results are in: I've gained 2lbs since 15 December. I think I can cope with that given the amount of food and cider consumed and the number of days spent loafing around watching TV instead of moving. 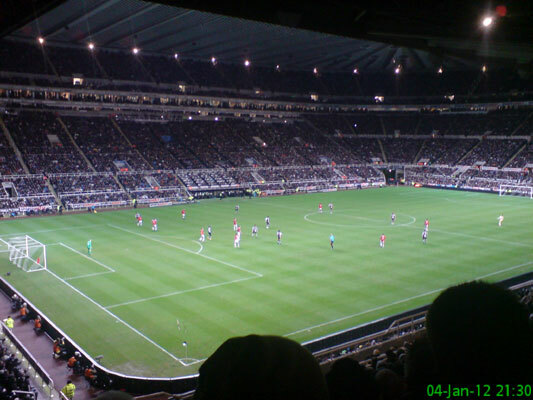 On a cold January evening, it's easy to feel like you can't be bothered going to the match. Thankfully I wrapped up warm and dragged myself there to see a brilliant game in which goals from Ba, Cabaye and Phil Jones (og) led to a convincing home win. The first day back at work after the festive break can be a bit of a struggle so it always helps to get the new holiday chart up. 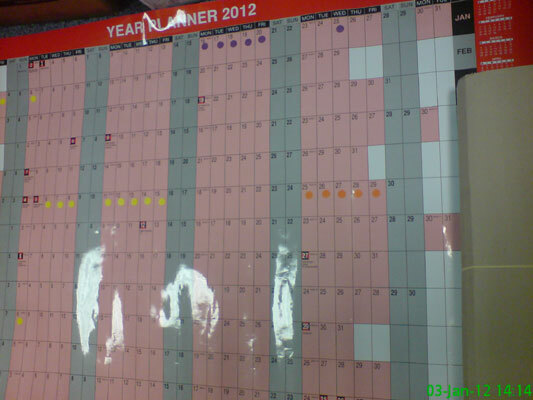 Naturally we've all got some straight on the board: Jen is purple, Nicola is yellow and I'm orange. 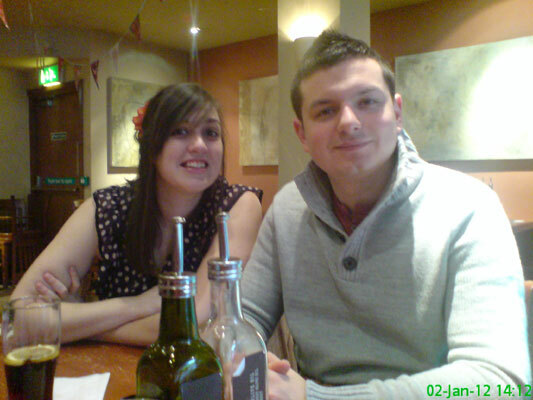 Sophie and Nasser at Zizzi for a meal to celebrate Nasser's birthday. 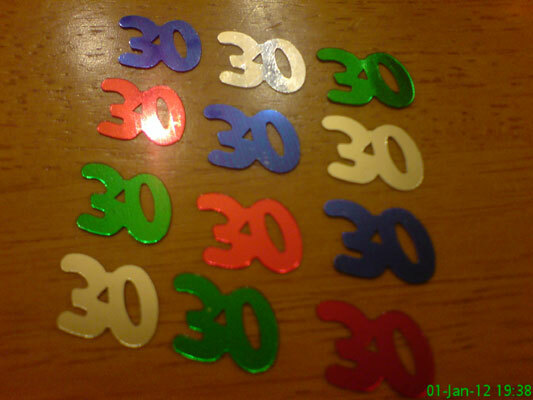 A surprise party was thrown for Dean on his 30th birthday and everyone braved their New Years Eve hangovers to join in the celebrations.